World Cup Countdown: 5 Weeks to Go - Should the Golden Goal Rule Be Brought Back? ​Brought in by the International Football Association Board in 1993 as a way of negating suffocating tactics by teams in extra time, the 'Golden Goal' rule never really had the desired effect. Allegedly, but less significantly perhaps, it was also bought in to amend the term 'Sudden Death', which was perceived to have negative connotations. Anyway, for those of you unfamiliar with the now extinct rule, allow me to enlighten you. The 'Golden Goal' would come into effect in extra time of a tournament, where the first goal scored in the additional period would automatically win the game for the team who netted it. However, what is interesting is that the rule was not compulsory; individual competitions could decide whether or not to bring it into play in individual games of the tournament. Tellingly, the rule's popularity has been encapsulated by the fact that it had only been used a handful of times before the IFAB decided to scrap it in 2004. Only in the European Championships in 1996 and 2002, and the World Cup in 1998 and 2002 was the rule used, as well as Liverpool's UEFA Cup final win over Alaves. In hugely ironic fashion, where the rule was meant to instigate a scenario where two teams threw the kitchen sink at each other and attacked at will, it inspired the complete opposite. Suffocated by the Golden Goal's monumental significance, even the game's best players were unable to perform freely with the weight of its consequence almost paralysing them. Teams sat back, fearful of conceding rather than enthused at the prospect of scoring. "The important thing was to have clarity and to have a single method to determine the outcome of a match," said David Taylor, a Scottish member of the IFAB upon scrapping the somewhat failed experiment. 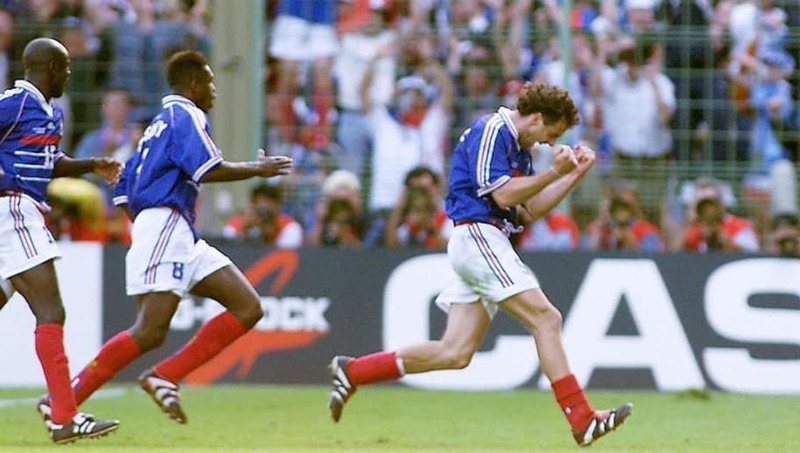 More incisively in regards to that statement, the game in which Laurent Blanc notched his 113th minute Golden Goal over Paraguay in the 1998 World Cup round of 16, no other games at that stage in the tournament had undergone the same determining process. Consistency is key, and it was non existent. Having said all of this, however, the same features of play that the rule was originally brought in to nullify continue to exist in the modern game. Lesser teams, with poorer quality of reinforcements off the bench perhaps, view the additional period as merely an obstacle to survive until they can get to the lottery that is penalties. At the risk of contradicting that aforementioned point, even when the Golden Goal rule was active, the survivalist mentality was still a factor; for the rule to take the effect it sought, penalties needed to be exempt from proceedings. Whilst the banishment of penalties would most likely be replaced with continuous 15 minute periods until one team scores, that would see the players knackered, out on their feet almost, if the same substitute allowance of three was in play of course. For penalties to be replaced, more subs would need to be allowed, or the risk of the game being decided by an error from a mentally and physically tired player would simply be unjust and unfair. Even so, would that be harsher than the jackpot of penalties anyway? Following what he felt was a 'poor quality' World Cup in South Africa back in 2010, former FIFA president Sepp Blatter said: "Is it worth taking another look at the Golden Goal?" Seven of 64 matches ended goalless, including six in the opening group phase of the aforementioned tournament. Additionally, in 16 knockout phase matches, four were level after 90 minutes and went to extra time - including Spain's 1-0 victory over the Netherlands in the final. The fact that this debate is still going on in the modern age of football shows that the initial problem has never been resolved. Its purpose was to stop teams sitting deep and taking their chances in a penalty shootout, but even after its termination, this is still the case. If entertainment is of priority over a natural result, then yes, a rule with the same intentions that the Golden Goal originally possessed should be looked into. But the format in which the IFAB decided on in search of more entertaining finales to games needs reviewing. To conclude, the Golden Goal should not be brought back in its original structure, but a revised form of it would not be unwelcome in a climate of uninspiring extra time dross on frequent occasions.